We at iSense Sleep love the retail stores who carry our Comfort Control™ line. We've found that they're as wonderfully diverse as the people who've taken control of their comfort by sleeping on our mattresses and pillows. So, we created this retail spotlight as a chance to get to know them better. First up is Mt. 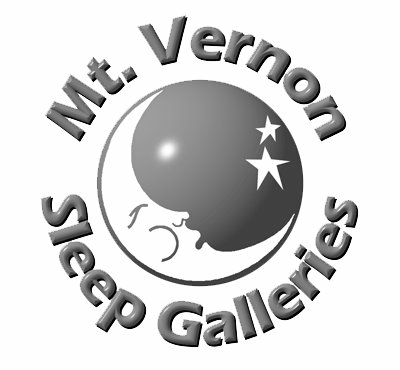 Vernon Sleep Galleries out of Fredericksburg, Virginia. They're all about mattress shopping without the stress, and that's something we can definitely get behind. What inspired you to get into the mattress industry? The two paths of opportunity and potential crossed in 1981. My father-in-law had been in the home furnishings business all of his life and thought that, given his experience in selling mattresses in furniture stores, a mattress specialty store had the potential to be a success. Given that there were just a few mattress specialty stores in the entire Washington metro area and none in Fredericksburg at the time, we decided to give it a try. When did you open your first store? It is my hometown. According to family tree research, I have descendants from this area who have been traced back to colonial times. One was even a merchant; I guess it is in my genes. What’s your favorite thing about the town your store is located in? What’s different about your store? Our integrity price policy. When consumers go into other mattress stores they are subjected to the high pressure, price drop, used car sales game. The prices on their price tags mean nothing except to attempt to give an impression of a false higher value to enable their sales associates to play the price drop game to close the sale. At Mt. Vernon, our tag prices are our real prices. In addition to our price tags, every day we update price comparison cards that are displayed on beds in our showroom that contain not only our prices but our competitions prices for the product off of their websites. In addition, if a competitor ever does have a lower price, we not only have a price guarantee to match the lower price, but we then change our price tag to the new lower price. This allows us to ensure that every person who purchases from us gets the exact same price, which is also the lowest price available for that particular product in our market. What’s your favorite moment since you opened? Being recognized by my peers by being named, now 8 years in a row, to the “Beyond the top 100” list by Furniture Today. What are the most common issues you face when helping a customer find the right mattress? The biggest issue is the customer’s fear of making the wrong choice — the iSense Sleep product design should alleviate that fear. As a retailer, what attracted you to the iSense Sleep line of mattresses? What initially attracted me to the iSense Sleep product was the feature of allowing customers to customize the comfort of the mattress to their preference, not only in the air technology, but also in the Foam and wrapped coil technology. What confirmed to me that iSense Sleep was the right vendor to partner with was the quality of the people of iSense Sleep that I met when I visited the corporate headquarters. I have the one store. What was one of your greatest tribulations and how did you overcome it? My time of greatest challenge in business occurred in 1993 when I entered into a buyout agreement with my partner. Unfortunately, this created a severe cash flow shortage for the next 6 ½ years. I first attempted to increase revenue but instead experienced a decrease in revenue (which worsened the cash flow shortage even more). Subsequently, I next tried to cut expenses to cover the cash shortage, but there was not enough overhead that I was able to trim to offset the debt load. Finally, after all else had failed, I turned to God. I found that God is a practical God with very practical principles in his Word (The Bible), that if applied to business worked, not some of the time as other business books do but work every time. Principles on debt, co-signing loans, unequally yoked partnerships, selling practices, when and how to expand a business and how to deal with unreasonable government officials are just a few of the over 2,000 Bible verses that can be found concerning money and business. It took a while to immerse myself in the learning and the application of God’s teaching and the turnaround did not happen overnight. But during this time God, first of all, sustained me and helped me to endure tough times and tough conversations with lenders and vendors. But then, in his time and through a miraculous set of events, delivered me overnight from the cash shortage issue. That deliverance occurred 18 years ago and since that time by God’s grace, provision, and by the direction of his Word, I have not experienced one time of being unable to pay my bills on time again. This includes the dark days of the great recession when business revenues dropped by 48% and the current challenge of over saturation of mattress doors where we have gone from four mattress stores in all of Fredericksburg, to now 9 stores in a two-mile stretch of the road that I am located on. Mattress shopping without all the stress.